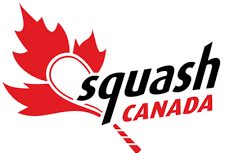 Looking to better a silver (men) and bronze (women) finish from last year, Ontario's top men and women take on other Canadian teams this weekend at the Windsor Squash & Fitness Club, the host of the 2018 Canadian Team Championships. Thanks to championship sponsors and enthusiastic squash supporters, the championships will be a history-making event, awarding total prize money of $21,000. The 6 gold medal finishers will each receive $2,000, $1,000 will go to each finalist and each bronze medalist will receive $500. The two Ontario teams will be led by Mike McCue, Albert Shoihet, and Cam Seth for the men and Sam Cornett, Hollie Naughton, and Micaala Seth for the women. Help us cheer on Team Ontario by following the draws and watch all the live action!